Volkswagen's third generation Touareg is a large luxury SUV that's now smarter looking, safer, better-equipped and more efficient. As before, this car's dynamically better than you expect it to be, both on road and off it. True, it can't offer more than five seats, but then neither can key rivals like BMW's X5, Mercedes' GLE-Class, Jeep's Grand Cherokee, the Lexus RX or Porsche's Cayenne. 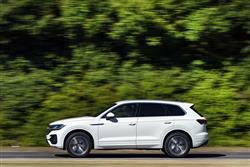 If you're looking at one of those contenders in this segment, then this under-rated Touareg offers a very complete package with a value proposition that could prove hard to resist. Large luxury SUVs tend to be more about style than substance. 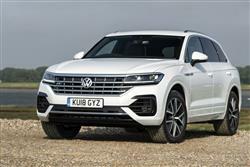 Here's one that's different, Volkswagen's much improved third generation Touareg. 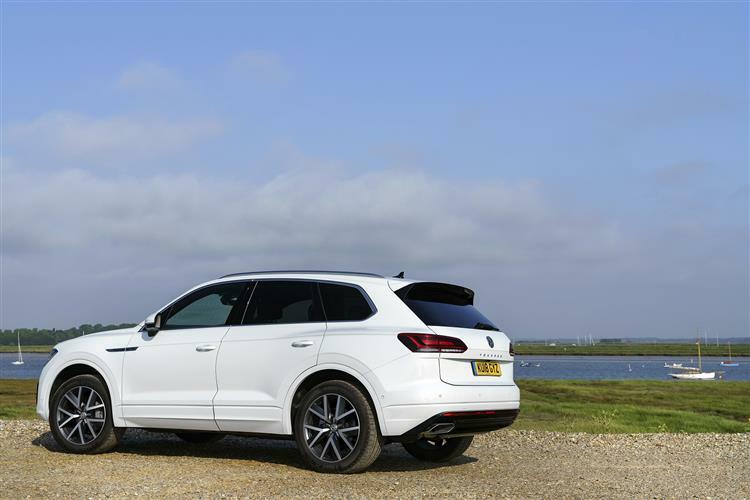 The original version of this car, launched in 2003 and named after a North African tribe, represented the Wolfsburg brand's first venture into the luxury SUV market and struck a chord with quite a few buyers in this segment. The second generation version, introduced in 2010, was less successful; Wolfsburg hopes to regain momentum with this, that model's successor. 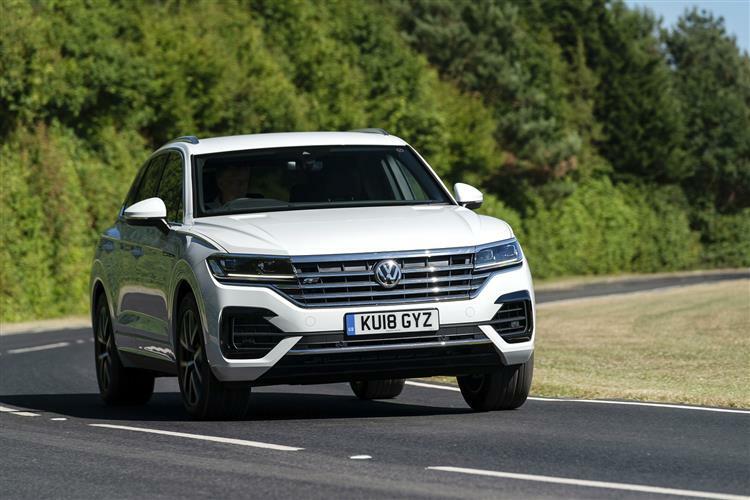 The prospects seem quite promising; this MK3 Touareg does, after all, use the same MLB Evo platform you'll find in Porsche, Bentley and Lamborghini large SUVs. And, unlike them, it's actually quite at home off road. As before, the idea is to provide an appealing compromise between the extreme 'SUV'-ness of, say, a Toyota Land Cruiser or a Jeep Grand Cherokee. And more paved-surface-orientated large SUVs like the BMW X5 and the Mercedes GLE. 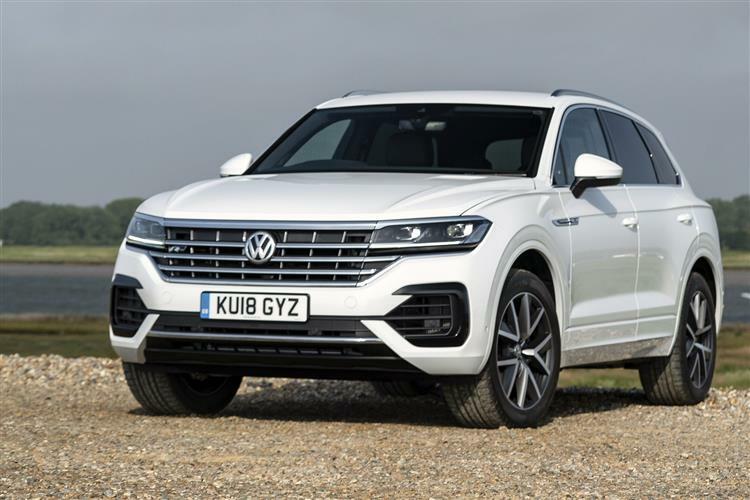 As before, this third generation Touareg uses 3.0 V6 TDI power mated to an eight-speed automatic Tiptronic gearbox and 4MOTION all-wheel drive. This unit's an uprated version of the powerplant offered in this model's predecessor, this time round putting out 231 or 286PS. In the perkier variant, 0-62 mph takes 6.1 seconds, and the top speed is 146mph. A 340PS 3.0-litre V6 turbocharged petrol engine is the alternative. 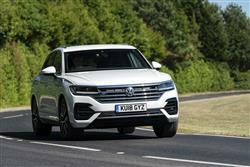 A V8 diesel and a petrol Plug-in hybrid are planned for later in the product cycle. Pulling power remains a Toureg strongpoint, the 286PS unit developing up to 600Nm of torque, which will make it ideal for towers who'll particularly like Volkswagen's handy 'Trailer Assist' technology that facilitates simple slow-speed manoeuvring. For on road use with this MK3 model, Volkswagen has (for top variants) developed an active all-wheel steering set-up and a roll stabilisation system with electromechanically controlled anti-roll bars. Plus there's two-chamber air suspension too, a set-up you can control via various driving modes. These range from 'Eco' and 'Comfort', through 'Individual', to 'Snow', 'Sand' and 'Off-road Expert'. Select the right setting and you'll be able to go surprisingly far off the beaten track. That'll be further aided by a centre differential lock with asymmetric dynamic torque distribution that acts as a transfer box for the flow of forces between the front and rear axle. A maximum of 70%t of the drive force reaches the front axle and up to 80% can be sent to the rear axle. 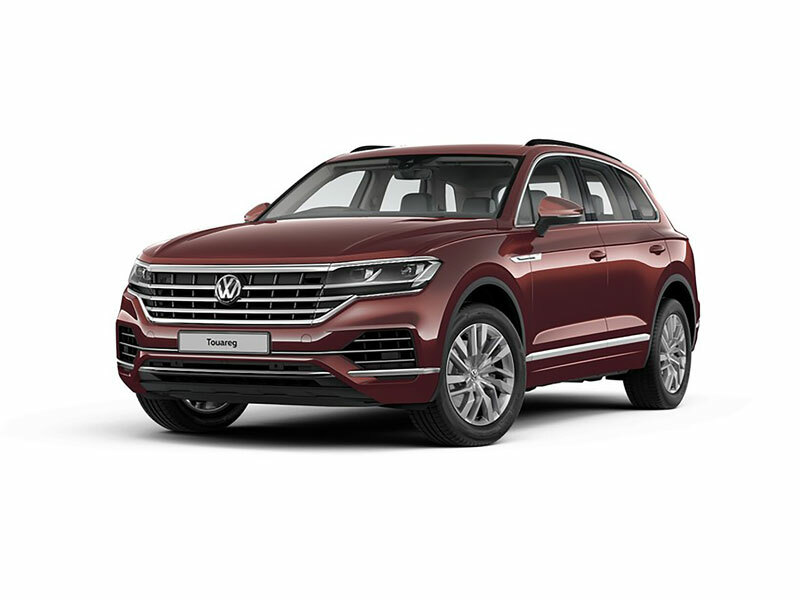 This third generation Touareg is yet another Volkswagen Group large luxury SUV to sit on that conglomerate's MLB Evo platform (the others being the MK2 Audi Q7, the Audi Q8, the Bentley Bentayga, the MK3 model Porsche Cayenne and the Lamborghini Urus). As before, the Touareg has just five seats but it's wider and longer than before, nearly 4.8m long, nearly 2.2m wide and over 1,7m high. There's a more dynamic look too, aided by the imposing new chromed front grille and sharper body detailing. The cabin of this MK3 model isn't quite up to Audi and Porsche levels of quality, but it feels very nice indeed and is dominated by what Volkswagen calls its 'Innovision Cockpit'. Here, a 12-inch digital instrument cluster - the 'Active Info Display' we've seen on lesser Volkswagen models - merges with the 15-inch TFT touchscreen of the latest 'Discover Premium' infotainment system to form a new digital operating, information, communication and entertainment unit. Never before has a Volkswagen interior of this type been digitalised and extensively linked to the vehicle functions and outside world to such an extent. As before, there's a comfortable back seat with sliding and seat reclining options. Luggage space is huge with a 1,051mm load area length and a maximum load capacity of 810-litres (seats up) or 1,800-litres (seats down). 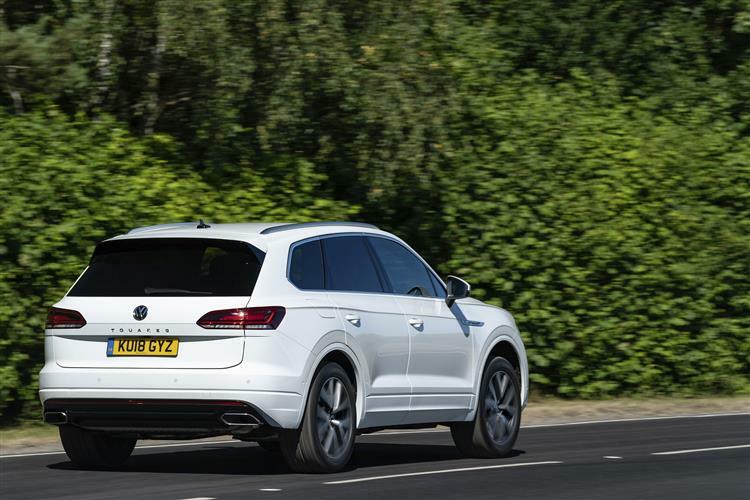 To begin with, all MK3 model Touaregs share the same 3.0 V6 TDI 286PS diesel engine but there are three trim levels - 'SEL', 'R-Line' and 'R-Line Tech'. Prices start at around £49,000 and range up to just over £58,000. Further down the line-up, options include electrically adjustable front seats featuring a special pneumatic massage function with no fewer than eight programs. The intensity of the massage functions can be continuously adjusted via individual air cushions. Natural light comes in through the optionally available panoramic sliding roof - the largest yet offered by Volkswagen. The transparent roof section is 1,270mm long and 825mm wide (inner dimensions), and the front half can be continuously opened and electrically moved back by almost half a metre (495mm) and raised. Meanwhile night driving can be more pleasant thanks to an optional LED ambient light system. Using the ambient light, the atmosphere on board the Touareg can be personalised via 30 different light colours whose brightness can be adjusted. There's also an optional night vision system using a thermal imaging camera. Camera-driven safety innovations include 'Front Cross Traffic Assist' - which responds to traffic crossing in front of the car. For autonomous driving, there's 'Traffic Jam and Roadwork Lane Assist' which offers partly automated steering and lane departure warning up to 37mph, plus autonomous acceleration and braking). Don't expect too much here. This is, after all, a large luxury SUV that in 3.0 V6 TDI form carries a substantial 2,070kg of kerb weight. Expect 42.8 mpg on the combined cycle and 182g/km of CO2 from the 286PS variant. If that's not good enough, you can ask your dealer about the forthcoming petrol plug-in hybrid version. As for servicing, well as usual with Volkswagen models, there's a choice of either 'Fixed' or 'Flexible' maintenance packages. You'll choose the 'Fixed' approach if you cover less than 10,000 miles a year and with this, the car will typically be looked at every twelve months. If your daily commute is more than 25 miles and your Touareg will regularly be driven on longer distance journeys, you'll be able to work with a 'Flexible' regime that can see you travelling up to 18,000 miles between garage visits - or every two years, whichever is sooner. The TDI engines many customers will choose, like most modern diesel powerplants, get a selective catalytic reduction filter to cut down on nitrous oxide and, as with similar rival units, are designed around the injection of a urea-based solution called AdBlue into the exhaust gas stream to help clean up emissions. The liquid used is stored in a 12-litre tank mounted at the rear beneath the boot and this will need topping up as part of regular servicing. 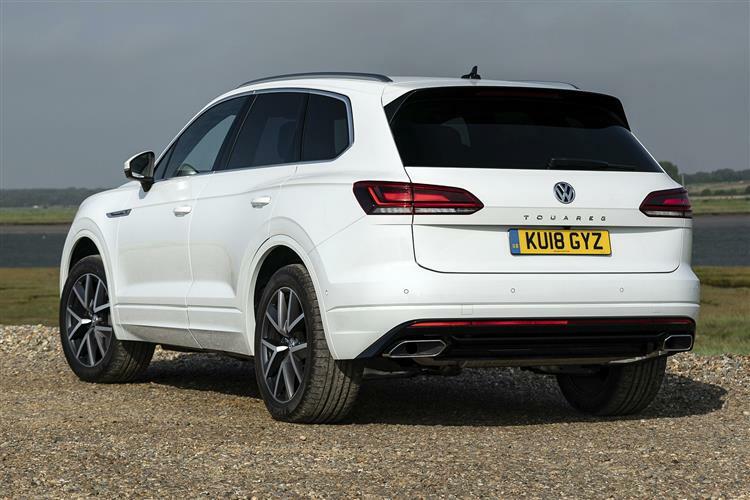 As long as you don't need seven-seats in your large, luxury SUV, this Volkswagen is still a hard option to ignore if you're looking for an appealing balance between style, speed and 'SUV'-ness, with reasonable pricing and running costs that suggest more modest means. True, it doesn't have the brand cachet of some of its illustrious rivals - but perhaps that's no bad thing. 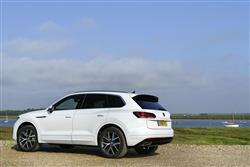 For this car's loyal band of buyers, the Touareg's unpretentious approach is, after all, one of its biggest draws. It's a pity though, that so few of them know exactly how capable it is in the rough stuff. Of course a cynic might ask in what way a Touareg is class-leading and it would be tough to pinpoint one. Its chances of success reside in managing to convince enough people enough of the time that it covers the required bases competently. If that sounds like damning with faint praise, it's not meant to. Think of this car as an artful exercise in managing compromises instead. It's still well worth your attention and with prices now overlapping with compact SUVs, its value proposition speaks for itself.